WASHINGTON — The Marine Corps’ brief and limited experiment integrating female recruits into an all-male unit for their initial training at boot camp came to an end Friday. And as the recruit class graduated at Parris Island, South Carolina, officials said they were undecided about whether the Corps, which has not fully integrated its recruit training, will ever do it again. The Marines were handed Eagle, Globe and Anchors on March 16. Commanders and Marines in the course told The Associated Press they didn’t notice any problems during the brief flirtation with increased integration. But the lack of disaster didn’t appear to change minds in a Marine Corps that has steadfastly rejected congressional and other outside pressure to build combined platoons of female and male recruits at boot camp, like the other military services do. Brig. 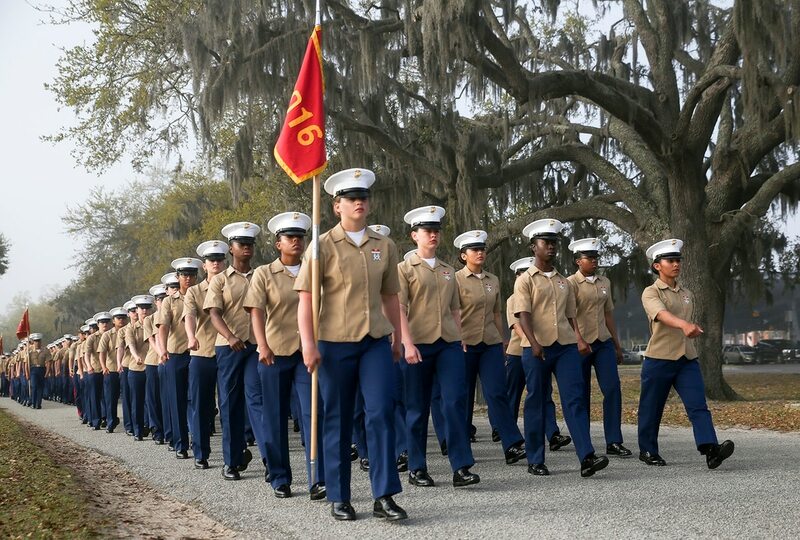 Gen. James Glynn, commander of Marine Corps Recruit Depot Parris Island, South Carolina, said that this latest move, putting men and women in more frequent proximity, didn’t look much different than usual. He said that while it was hard to measure the benefits of the move, it did expose young, male recruits to female Marine leaders — such as drill instructors — earlier in their career.